Honestly, we hunted down ten games just for you. When we announced that there was a new video game on the market that let you work hard to become a YouTuber without ever actually having to lift a finger, edit a video or sit deep into the middle of the night typing up descriptions and tags, you all went crazy for it. So to meet your thirsty need to consume as many video games about YouTubers as possible, we've been doing a little bit of digging and found 10 games solely dedicated to that YouTube life - we even found some dress up games too, because we had some free time. So without any further adieu, here are the 10 games you're 100% about to get addicted to and never visit this website again because of your new found habit. Let us know in the comments below if you gave any of these games a whirl, or if you've played any of them before! YouTubers Life - So this is the game y'all freaked out over. YouTuber's Life is a simulation game (much like, you guessed it, The Sims) in which you create a character in your image and then work hard to turn them into the greatest YouTuber in the world. You have to balance a social life, hateful comments and your very aggressive mother to try and make it on the Internet but be careful... it's not as easy as it looks. 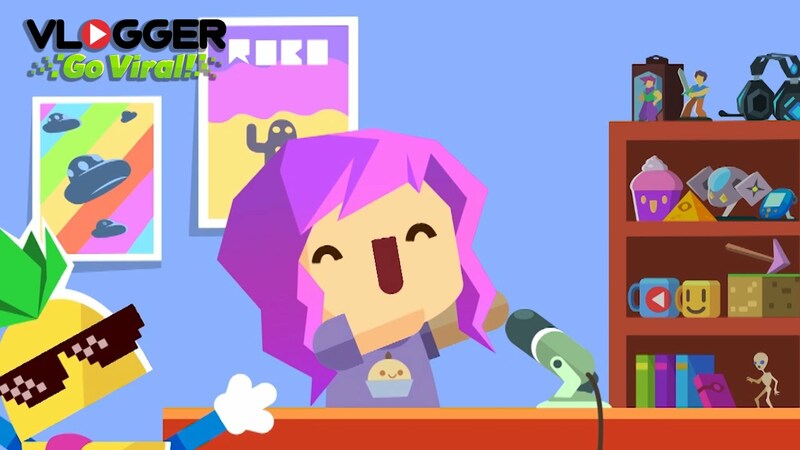 Heads up, at this moment in time, you can only play as a gaming YouTuber, but there promises to be more genres later in the future including a musician and a baker. YouTube Let's Play Simulator 2014 - In this browser game, you can click and choose which games you want to play to launch your new Let's Play channel including "that other Slender game" amongst a whole host of popular titles... but you never actually play any of them. Instead you run the business side of a YouTube channel with a focus on checking emails, producing videos and sleeping enough times that you just wake up magically famous. We wish it was this easy. TubeTycoon - This is pretty much one of my favourite games on the list. As well as being totally free, TubeTycoon is a genuine look into the struggles of launching a YouTube channel - including budgeting for games, responding to emails and watching your subscriber count grow. The opening monologue is a straight rip-off of the original Pokemon Red/Blue games, but we'll allow it because it made us feel so freaking nostalgic. You can download this game and play it on your PC right now! Let's Play Simulator 2016 - You've already seen the likes of PewDiePie and CinnamonToastKen play this game... so why not have a go yourself?! The game is pretty self explanatory, with you in charge of a gaming channel that's being inundated with requests to play video games. You need to choose what games you play carefully though, because playing terrible games will cost you money AND subscribers! Who'd have thought being a YouTuber was this demanding?! Vlogger Go Viral - Okay, so I started this article looking for a couple fun games to play in the office to make it look like I was doing work, but I have ended up with a genuine addiction to Vlogger Go Viral. The game, which is totally free and ready to download on both iOS and Android, is a Cookie Clicker clone; a game that requires you build up huge sums of money by investing in channel upgrades and clicking like some sort of crazy person on your phone screen to earn money and speed up video times. I've been playing for a week now and I earn approximately 15 billion dollars per video and I have a little pug with a tie - IT'S AMAZING. 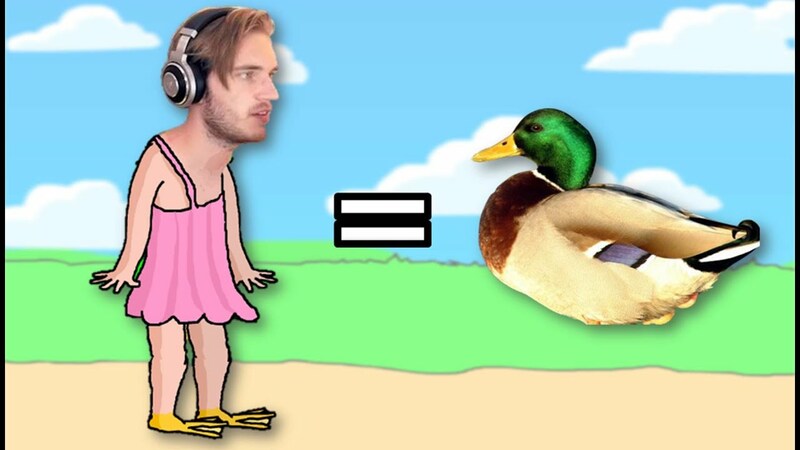 PewDuckPie - We all know this game from Felix's infamous playthrough series in which he literally lost his mind and almost quit YouTube. PewDuckPie is an incredibly hard side scrolling platform game designed to test everything you thought you knew about video games by flipping it on it's head and changing the rules. The games protagonist is 100% PewDiePie in a dress, and it features a whole host of enemies you may recognise from his channel... It's free and absolute hell. Dan Howell Dress Up - What more can we say about this one? You clicked on an article about games that let you dress up YouTubers, and here's one of them. Ever fancied dressing up Dan Howell in an array of clothes, punk edits and hair styles to suit a passive aggressive Phil Lester that's shouting at you from off the screen? Yep? Well, we're happy to tell you that this game exists and you can go play it right now on your computer without paying a goddamn penny. Chibi PewDiePie Dress Up - Apparently, just dressing up PewDiePie wasn't enough, because this game designer decided to make him chibi and cute for our E N J O Y M E N T?! For some reason you can put Ken's bear cap on, and even place Cryaotic's face upon your person, but we honestly don't know what to say anymore. You can dress up Felix. That's all you need to know. 100% Accurate YouTube Simulator 2015 - This game may be 100% accurate, but it's 100% sassy as well. Apparently, according to this game, the only way to get popular on YouTube in 2015 is to do collab videos with either PewDiePie, Markiplier or JackSepticEye. That's it, that's the trick of the trade. You can also buy subscribers and upload 500 videos a day... which is a bit of a controversial statement when you think about it. It's available for free on Mac, Windows and Linux! Asagao Academy - This is another game we've covered on the site and you guys went crazy for. 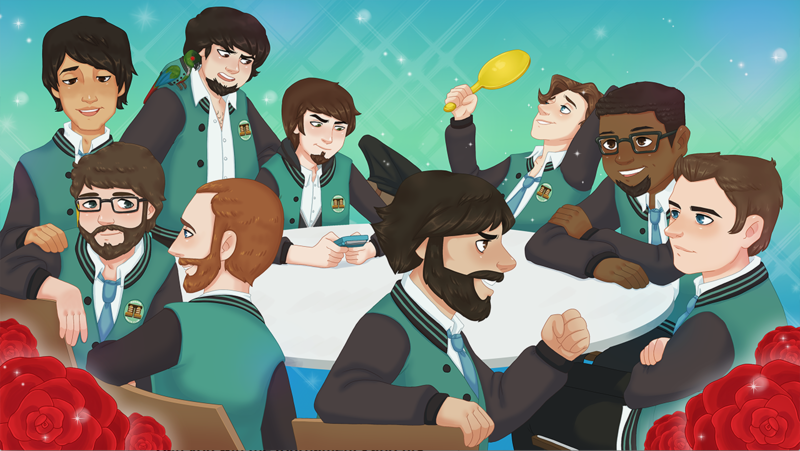 Coming from the network behind Normal Boots, you can now date all your favourite gaming YouTubers including JonTron and PeanutButterGamer in this dating simulator, Asagao Academy. You know you want to... just look how freaking adorable they all look! It's available for free download on Mac, Windows and Linux too.